Healthcare is the most debated topic in the United States. Daily we are bombarded with information regarding the Republicans in the Senate and the House, and how they are trying to repeal Obamacare with no real replacement on the horizon. To better understand this complex debate, it is important to understand how Americans are getting their health insurance. Medicare, non-group policies, and other public sources. Also, there are approximately 29 million (9%) Americans uninsured. Definitions for each category on the infographic are provided by the Kaiser Family Foundation, a nonprofit organization that provides in-depth information on key health policy issues concerning Medicaid, Medicare, US health reform, global health and many other health topics of concern. Employer-Based: Includes those covered by employer-sponsored coverage either through their own job or as a dependent in the same household. Medicaid: Includes those covered by Medicaid, the Children’s Health Insurance Program (CHIP), and those who have both Medicaid and another type of coverage, such as dual eligible who are also covered by Medicare. Medicare: Includes those covered by Medicare, Medicare Advantage, and those who have Medicare and another type of non-Medicaid coverage where Medicare is the primary payer. Excludes those with Medicare Part A coverage only and those covered by Medicare and Medicaid (dual eligible). Other Public: Includes those covered under the military or Veterans Administration. Reviewing this infographic helps to put into perspective how many Americans are going to be affected by the healthcare debates outcome in Congress. It is paramount that we can stabilize health insurance in the United States. Many people feel that it is only the individual health market that will be affected by the repeal of Obamacare. In truth, every person, regardless of category in the infographic will be affected. If the President and Congress decides to no longer fund subsidies for Obamacare many more Americans will be uninsured. Medicaid and Medicare could also be affected if they decide to decrease the funding for their programs. Employer-based insurance could also be affected due to extreme rising costs of healthcare with benefits often being decreased. Employers could decide to have their employees pay more for their insurance or completely drop their benefit plan. This could put many more Americans’ health insurance in jeopardy. We, at Brownell Insurance are keeping a close eye on what is happening in the health insurance marketplace and through this blog will try to keep our clients well-informed. Contacting your state representatives and letting them know how you feel – could help them vote with their constituents in mind. We all need to take an active role in this debate. 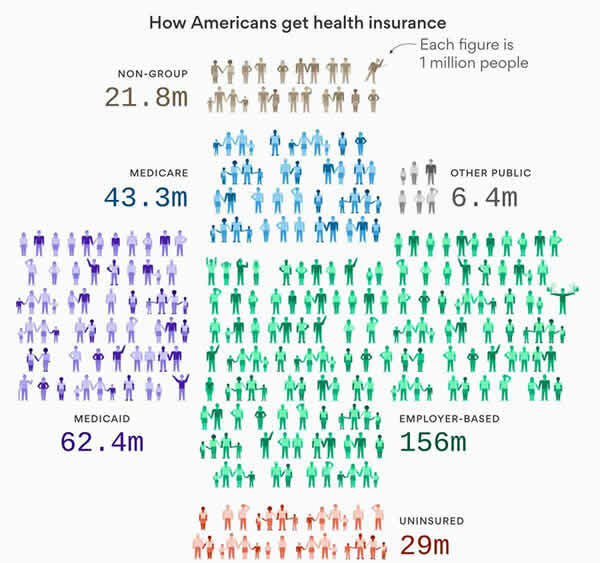 Information for this blog came from an article on website Visual Capitalist named “Breakdown: How Americans Get Healthcare Coverage written by Jeff Desjardins on July 31, 2017. Information for this blog comes from FOXNews broadcasted on June 28, 2017 and an article written by Todd Bookman Minuteman Health, Inc. To Stop Selling Insurance in N.H. dated June 23, 2017. Minuteman Health of Massachusetts and New Hampshire announced that they will be leaving the Affordable Care Act (ACA) Exchange as of January 1, 2018. The company will no longer be selling health insurance policies in the granite state as of January 1, 2018. Minuteman was created as a co-op for the Obama healthcare. Currently, they insure roughly 27,000 people in New Hampshire. They have assured the NH Insurance Commissioner that they have the resources to pay all claims for current clients through 2017. The company cited financial challenges due to the uncertainty of ACA. With Minuteman leaving the state, only three options will be available on the Exchange as of the New Year. The remaining companies are Anthem, Ambetter (direct sales only) and Harvard Pilgrim Elevate. Harvard Pilgrim Elevate is a joint venture between Elliott Hospital, Dartmouth Hitchcock and Harvard Pilgrim. Harvard Pilgrim Insurance has also indicated that parent company, Harvard Pilgrim of NH will not be selling health insurance in 2018. These withdrawals have caused Gov. Chris Sununu to state, “Minuteman Insurance’s departure is more clear evidence that the ACA has failed and that our nation’s healthcare system requires reform. This further underscores why Washington must act now to reform our healthcare system and take actions to stabilize the individual health insurance market,” Sununu concluded. 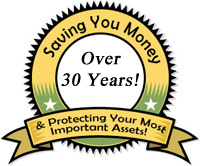 Minuteman executives are diligently working to relaunch the insurance company as a for profit insurance company. They fully intend to sell health policies in NH in 2018. A new for-profit Minuteman will need to obtain regulatory approval from the New Hampshire Department of Insurance by August 16, 2017. Upon completion of approval, Minuteman executives promise a smooth transition for current insureds into the new company starting January 1. This is a monumental task as it requires access to a substantial capital reserve and involves the filing of numerous documents necessary to gain permission from the state to sell policies. More information should be available near the end of August. At Brownell Insurance, it is our promise to stay up to date on this ever-changing marketplace of personal and group health insurance. All individuals who have personal health insurance with Minuteman Health or Harvard Pilgrim of New Hampshire will need to migrate to one of the remaining carriers, effective January 1, 2018. All health insurance clients of Brownell Insurance will be contacted starting in October for an appointment to discuss Open Enrollment which begins on November 1. At that time, we will have a better understanding of your options to assist you in making an informed decision. Open Enrollment ends on December 15. Please feel free to call us at 603-437-1992 if you have questions or concerns that you would like to discuss before October.